Beatiful dance garment with royalty-like metallic print and princess seams. 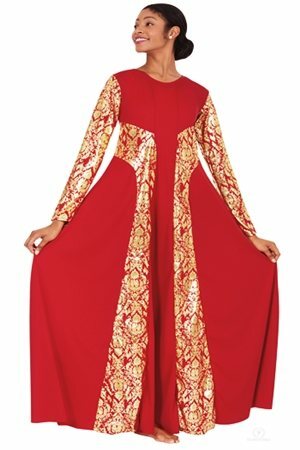 Make your spins and movements even more glorious with the elegant yet powerful look of this garment! *Not available in child sizes. Sizing Tip: Items runs slightly large and fits very relaxed. 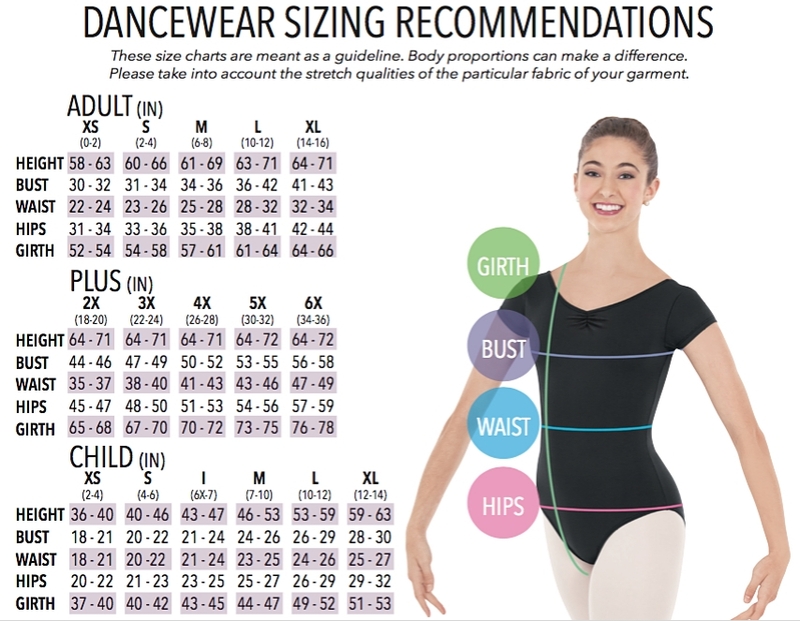 Certain body types may have to order a size down. This item is also ankle length.